I have been umming and ahhing about buying a decent waterproof and warm winter coat. I have been doing this for TWO YEARS now .. seriously I am so bored of hearing my voice talk in my head. I missed out BIG TIME on the Merrell Wakefield because I was being too tight to spend that amount of money on a coat and when I did have the money and they had been reduced slightly, they'd sold out and that particular design has been discontinued! So I had to fall in love again with the new model, now called the Merrell Ellenwood. But it's not the same as the Wakefield, it's missing that something special. 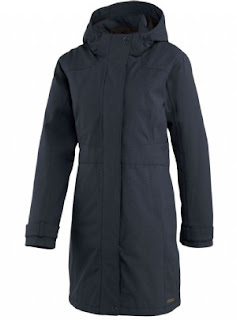 I want a coat that is longish but not floor length long (I'm 5ft 9), have some kind of shape so I don't look like a shapeless blob and be waterproof - a hood is a must have feature. So it looks as if on screen the Merrell Ellenwood Insulated ticks all the boxes and it does BUT and here we go again ... I DON'T HAVE THE MONEY TO SPEND ON THIS RIGHT NOW!!!!! I am going to cry again come next winter when they change the design to something really vile ..
What winter coat do you swear by to keep you stylish, warm and dry? 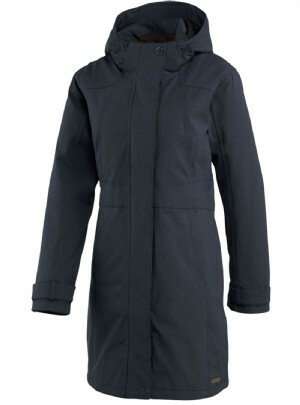 Is yours insulated - it's this that I would want I think as I have lots of other non-insulated coats. I'm also always cold so I think I do need this one!! But what to do with the spending ban I am on?!!!!!!!!!! Move back to Atlanta - you'll never need a coat like that again:) Helpful aren't I? So helpful - just like a chocolate teapot! I have an Esprit padded coat with hood in a sludge green nicer than it sounds!) and I love it because it has an elasticated belt which gives a bit of shape but isn't tight so as to make you feel restricted. It is a mobile, waterproof, mid-calf length fitted duvet! Can't remember if it was 2011 or 2010 but it was Christmas pressie bought in the pre-Christmas sale (of course) by hubbie. I think for the last 20 years I have always bought my coats in the Sales, usually Hobbs! I was trying to avoid the padded ones because I would never take it off!! I know the kind of coat you are describing, I love sludge green (khaki?!!). I always buy in the sales, makes financial sense!! I was looking at winter coats not so long ago as I think my old Primark padded coat is finally giving up the ghost. It has been through so many washes, it fits, sleeves not too long, doesn't swamp me but it's no longer as "plump" as it was so it's not as warm but I'm too tight to fork out for a new coat because I'm too busy looking at Spring clothes - I am doomed to be cold. Having said that it's had its day - I still wore it today! @Sue - yes that's it for me .. I'm TOO TIGHT also! I also layer up when it's freezing but I'm still stumped when it rains and here in the UK it rains A LOT! Plus eldest has just started rugby so I imagine I'll have to attend some matches in the cold and wet soon enough! I bought a North Face arctic parka this season and it's great for here, very warm, too warm in fact, I've had to take it off at anything above 0c to cool down a little! But it seriously makes me look a LOT fatter than I am, don't like that so much. @iolanthewears - that's what I don't want - to add bulk to my frame ..
My friend has that coat and she can only wear when the weather is FREEZING!!!!!!!!!!! It's so hard to spend money on winter stuff now when all we want to do it look at lovely bright spring stuff. I would love a nice winter coat but wouldn't spend the money on it now. Great post. I am dealing with many of these issues as well.